Oil and Gas UK and professional services firm Deloitte launched the annual Supply Chain Collaboration Survey at the AECC. The survey showed overwhelmingly that the sector views working together as integral, but there are “warning signs” its success rate could be dropping off as the industry emerges from the downturn. Just 36% of the respondents said more than half of their collaboration efforts were successful this year, down from 43% in 2017. 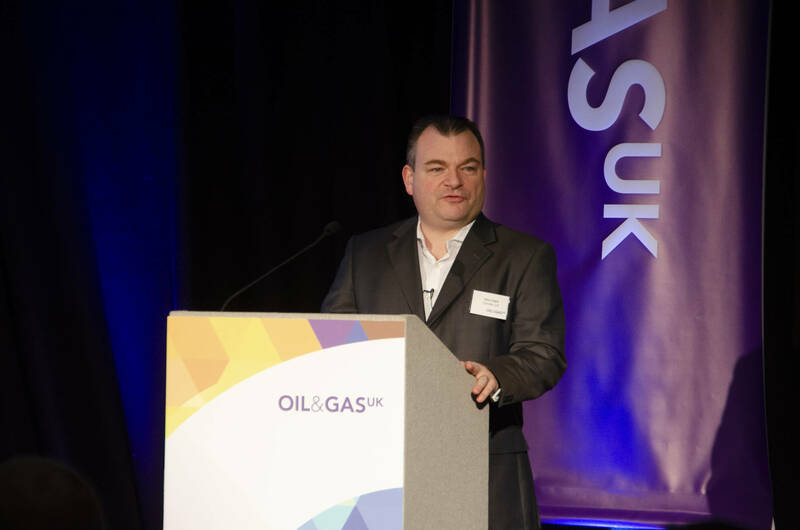 Director at Deloitte, Nick Clark, highlighted the findings along with representatives of Oil and Gas UK, Subsea 7 and Nexen. Concern was raised over digitalisation, with 45% of respondents saying they disagree or don’t know if their organisation has the right digital capabilities. Legacy issues were highlighted as a “significant barrier” to change, such as old ways of working and organisation. Meanwhile operators scored lower on average than suppliers on the collaboration index which measures their effectiveness for working with partners. The overall industry score was 7.1, the same as 2017. Mr Clark said: “It is a positive set of results but there are some warning signs there for us to consider. “We are still seeing that attitudes and the belief in this is there. “The collaboration index score has been sustained in a period where we’ve been much busier. “However, there are some signs of regression, particularly around that successful collaboration effort and the operator scores. “We just need to be watchful of that. We need to think about what’s driving it and I think it has started to pick up on some of the insights around that and as we move into next year we’ll get to understand a bit more about it. North Sea companies were urged to act on their intentions to make “transformational” cost reductions in 2019 such as embracing new technology. Deloitte and Oil and Gas UK asked a new question of respondents about how their companies cut costs last year and what their intentions are for the next 12 months. While “streamlining” the workforce and deferring spending were among the main actions taken in 2018, companies said they intend to take different steps like eliminating waste and using new technologies over the coming period. Mr Clark said this was a positive step which needs to manifest itself. He said: “If you look at the previous year, there is quite a significant focus on more tactical cost reduction activities, and when we asked what are you intending on doing in 2019 there is a bit of a shift which is good. We need to see this actually manifest itself next year. “We see in 2019 intent for more transformational-type activities such as using technology and digital, focussing much less on tactical cost reduction and more on waste elimination. “That’s a really positive sign because it shows the industry is thinking about this in the right way,there’s real evidence that organisations are trying to do things with a bit more of a long-term view. “We need to see that happen, and if we do this question again next year we will be able to see whether or not it really has manifested itself in action. “The legacy barriers to change remain, we really need to focus on breaking those down.